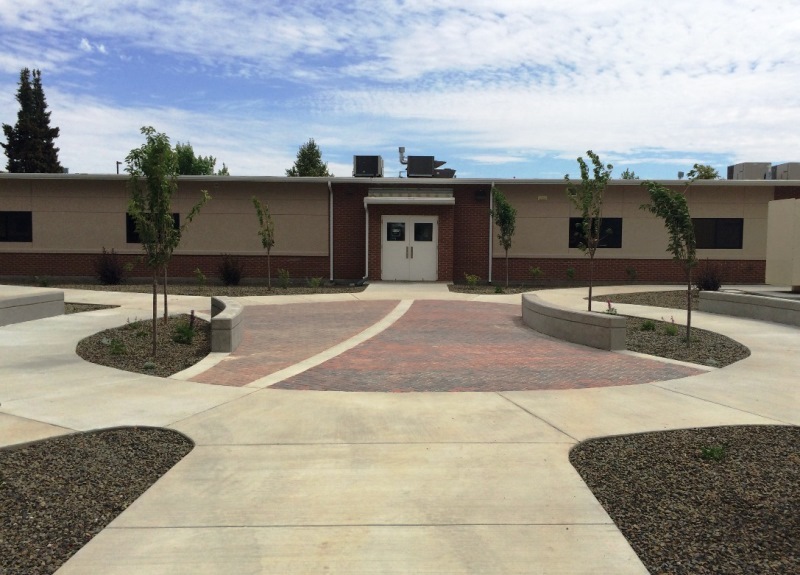 BRECKON landdesign worked with the Idaho National Guard on the removal and replacement of an existing 65,000-square-foot asphalt parking area and other associated site improvements relative to existing buildings 665 and 616 on a 4-acre site. Building 665 served as a gateway facility for enlisted staff prior to embarking on tours of duty and also to receive incoming troops upon their return to civilian life. 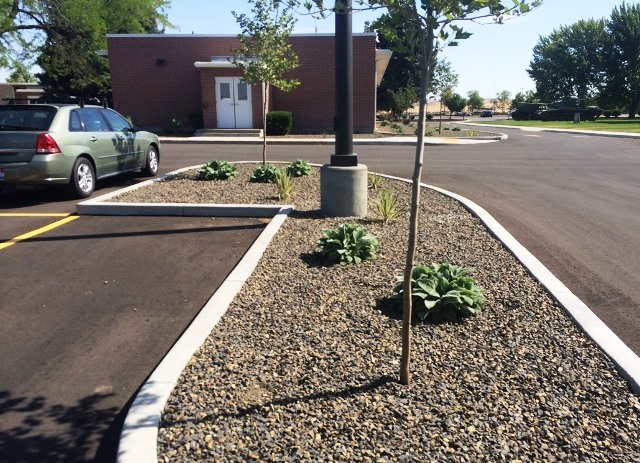 Project improvements included a concrete paver plaza with seat walls, hardscape areas, concrete sidewalks, provisions for ADA access, trash enclosure, grading and drainage, roadway improvements, new asphalt parking lot, signage, concrete curbing, erosion & sediment control, storm water pollution prevention plans, xeric landscape, and irrigation improvements.